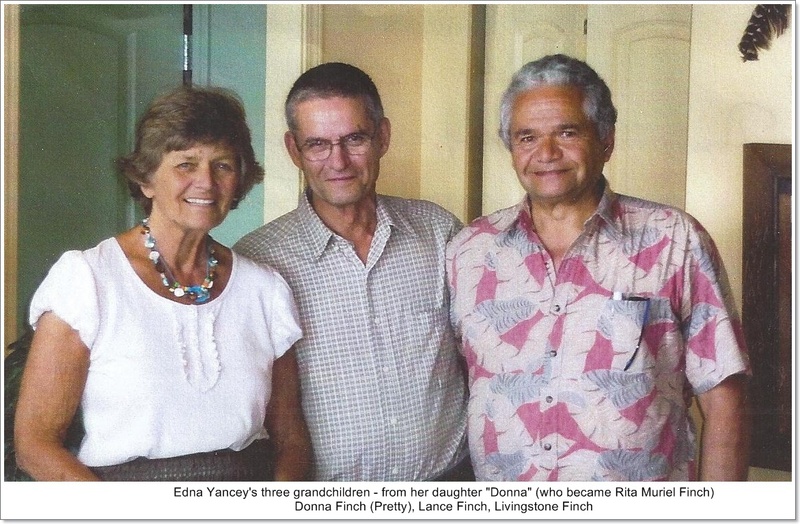 Note the photo that hangs from her neck. 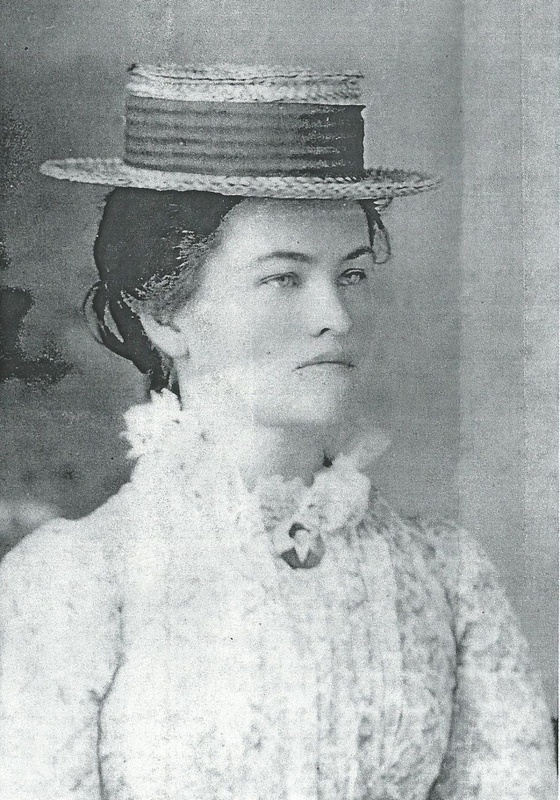 Ida died in 1910 leaving her husband a widow with five young children. Life Sketch of Alfred Franklin Yancey as written by himself in 1944. 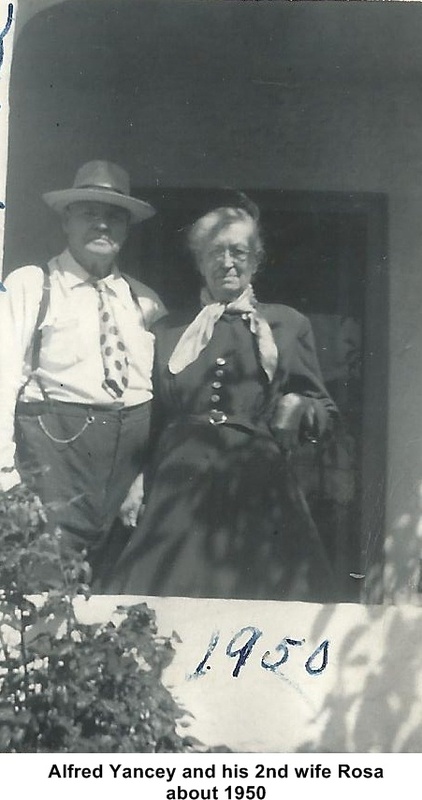 I was born 24 October 1870 in Pleasantown, Kansas the second child and second son of Hiram John Yancey Jr. and his second wife Hester Ann Harris Rhodes (she was the daughter of George Harris and was the widow of Seymour Rhodes). 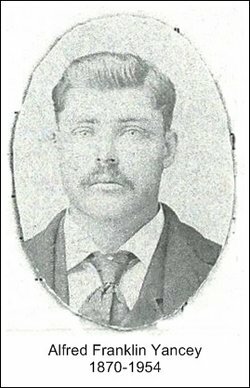 After father took his son John and left, first going to California then by boat to New York, then again to Illinois, then on to Missouri, where he met and married my mother about 1867. 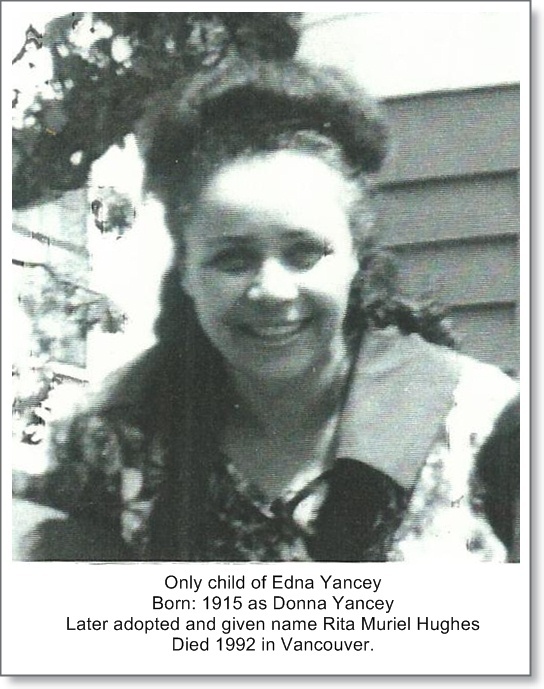 She was born July 1833 and died 1920. 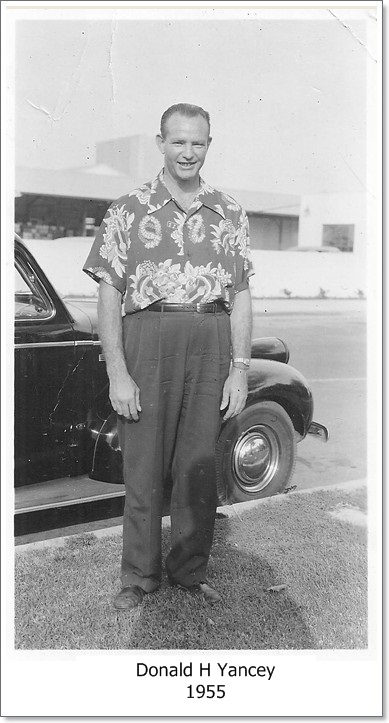 From there he went to Pleasantown, Kansas where I was born and where we lived for three years, my father working at his trade as a carpenter. We left Kansas about 1873 and went to a place in Missouri on a big farm with a large house in a big grove of trees surrounded by a cornfield, this place I remember as if it were yesterday. Here it was I was given a little hatchet which I was very proud of, and was told if I planted it, I would have a lot of little hatchets, so I planted it in the tall corn and day after day hunted for it, but could never find the place. It was here also that my little brother Eddie died, I have a very vivid picture of him lying on a wide hoard between two chairs with a white cloth over him, I remember leaving this place in a wagon and how members of our outfit bragged on me for walking five miles on my birthday. My childhood life was not a happy one by any means Father went almost blind when I was quite young though he tried doctors and medicine, so it left mother and I to hustle for the five of us. The next I remember was we were on our way by train to the then territory of Nevada. Here we moved onto a big cattle ranch near Austin City, there were many Indians here, some tribes of as many as three and four hundred. Here my brother George was born in 1876, 9th of January. From this ranch we moved to Malta, Iowa, where my sister Etta was born, 1 May 1878, and where I first went to school at the age of nine years. The next 12 years we lived in many places in Missouri, Iowa and Kansas. In the winter of 1890 we moved to Nebraska, where I entered the service of the Rock Island Railroad Company in the track and signal department. This was Fairburg Nebraska. It was here I met and married Ida Louise Leman 31 Jan. 1894. She was the daughter of John Charles Leman and wife Dorothy, and here our first child Victor was horn 30 Dec, 1894. We lived here at Thompson, Nebraska until 1897 then moved to Oklahoma where I homesteaded 160 acres of land. I followed farming and railroading here till 1906 when I sold my farm and stock and went to Alberta, Canada and took up a homestead in the Saddle Lake country, where we lived about two and one half years, when on account of my wife's ill health we had to go south, and went again to Thompson, Nebr. where I worked on the Rock Island railroad till June 1911, and here my wife died in 1910, leaving five children ranging from 15 years down to 10 months old. Shortly after my wife's death I moved to Edmonton, Canada in the service of the Grand Trunk Railway, and worked there till 20 Dec. 1914. For four years I kept the children together all by myself, although I had friends who offered to take them. From Edmonton I went to Fairburg, Nebr. 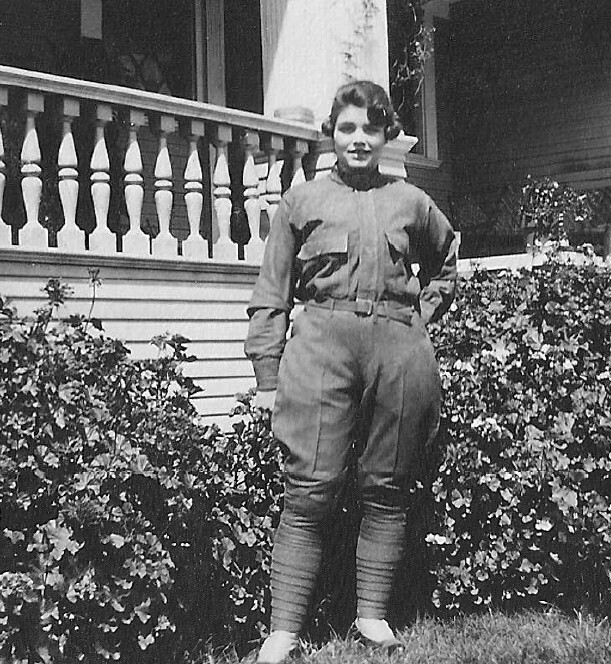 and here I met and married Rose Jordan Shortridge in 1915 and here again I entered the service of the Rock Island railway as extra gang foreman and continued this service at different points, mostly at Lincoln Nebraska until April 7 1937 when I was retired and moved to Los Angeles, Calif. where we have a nice little home in which to enjoy our declining years. 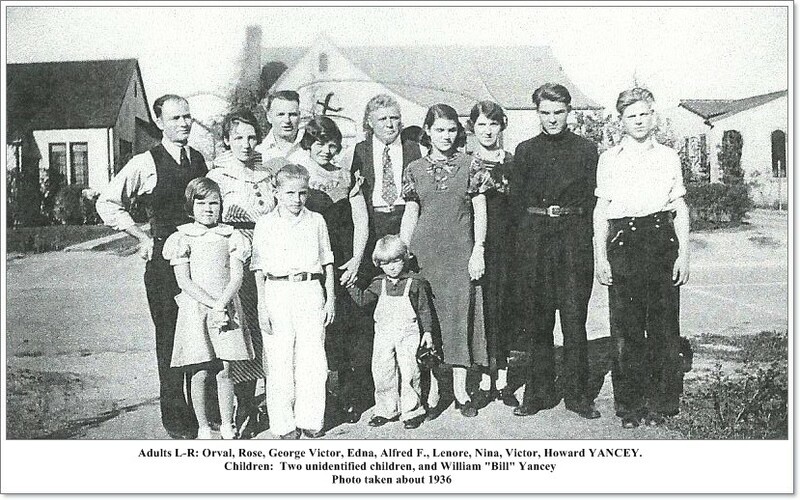 In June 1937 at our family reunion held at Cottage Grove, Oregon. 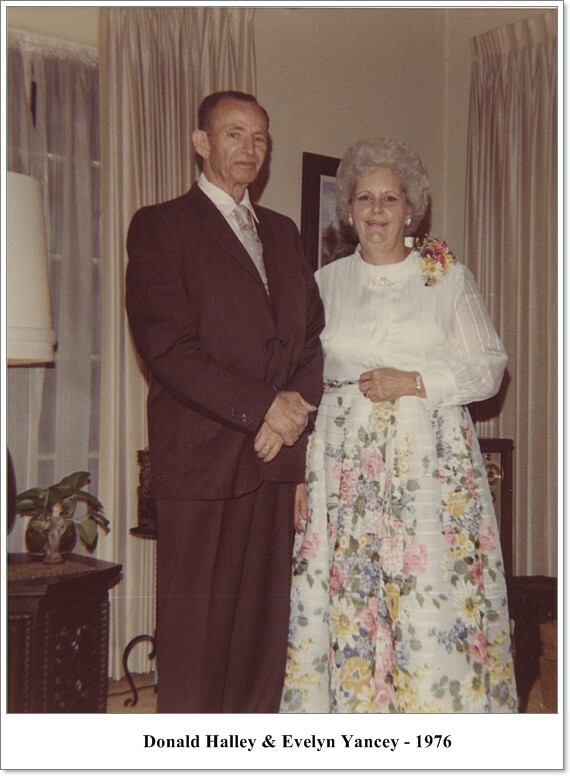 I met some of the family of my fathers first wife's children and have enjoyed visiting and associating with them many times since. 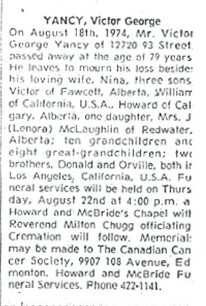 I visited with them in June 1947 and also went to see my sister Etta in Denver, and my sons at Edmonton, Canada. Yancey the Great, the inspiration of a whole generation of football players and fans, died Sunday at 79. For modern youngsters growing up in the era of Bill “Undertaker” Baker, the Title Yancey the Great may not mean much, but for veterans and fans who love the game, the title conjures up the image and magic of the first Eskimo [football] team heading for the Grey Cup. 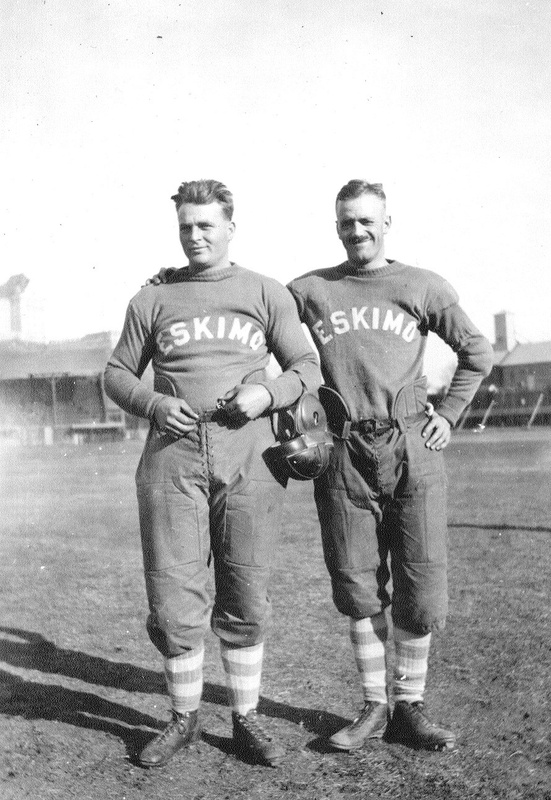 George Victor Yancey of 12720 93rd St started playing with the Eskimos in 1920 but he was good in just about all sports. He was 24 then. Some still remember the boxing exploits and his skills of throwing the shotput and the caber but he’s best remembered for his strength and speed on the left midle wing of the Edmonton Eskimos. It was the era of the Diamond Park below the hotel Macdonald and the illegal forward pass. 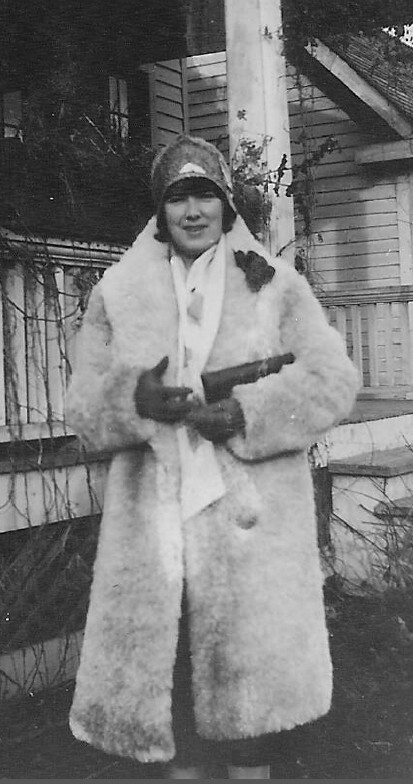 Yancey went with the Eskimos to their first Grey Cup game in 1921. They lost to the Toronto Argonauts 23 to 0 and again lost to an eastern team the next year. But Yancey didnt make the last Grey Cup. He had torn some ligaments that season when his foot was trapped in a gopher hole on the football field. The leg injury finished his football career but his interest in the game never flickered. Some think Yancey was one of the greatest players ever and wonder why he never made the Hall of Fame. When he could, he went and saw the Eskimos play, but as he got older he started watching the games on television. And it wasn’t only the Eskimos. He loved the game. 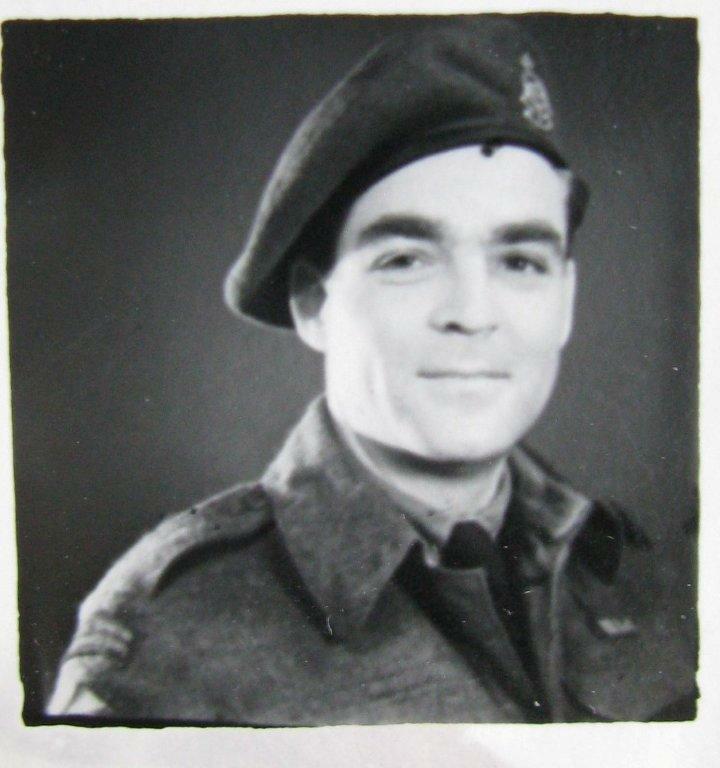 He died Sunday evening in Royal Alexandra Hospital. 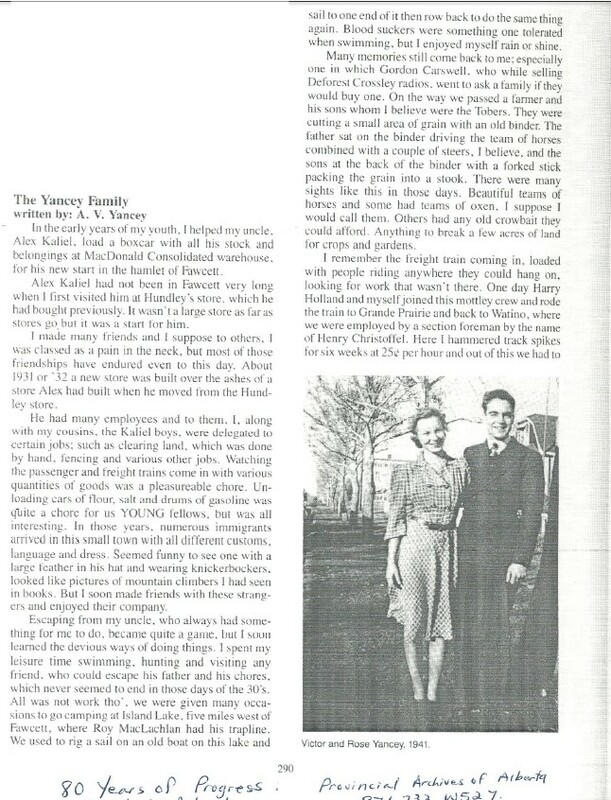 Yancey was born in Nebraska Dec 30 1894 and came to Canada with his parents in 1907. 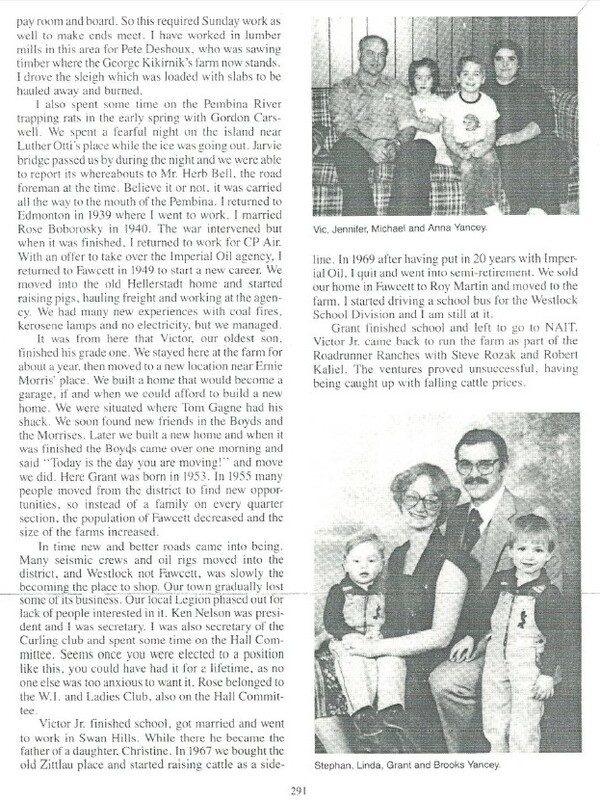 The next year the family moved to Owl’s Eye, Alberta to homestead but moved to Oklahoma in 1909 and farmed until 1911. 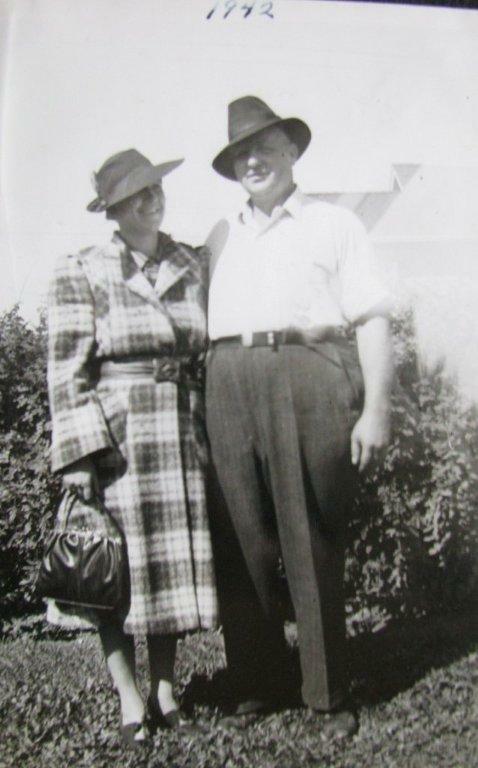 He started with the Chicago Rock Island Railway in 1915 and married Nina Paterson of Looma, Alberta, the same year. 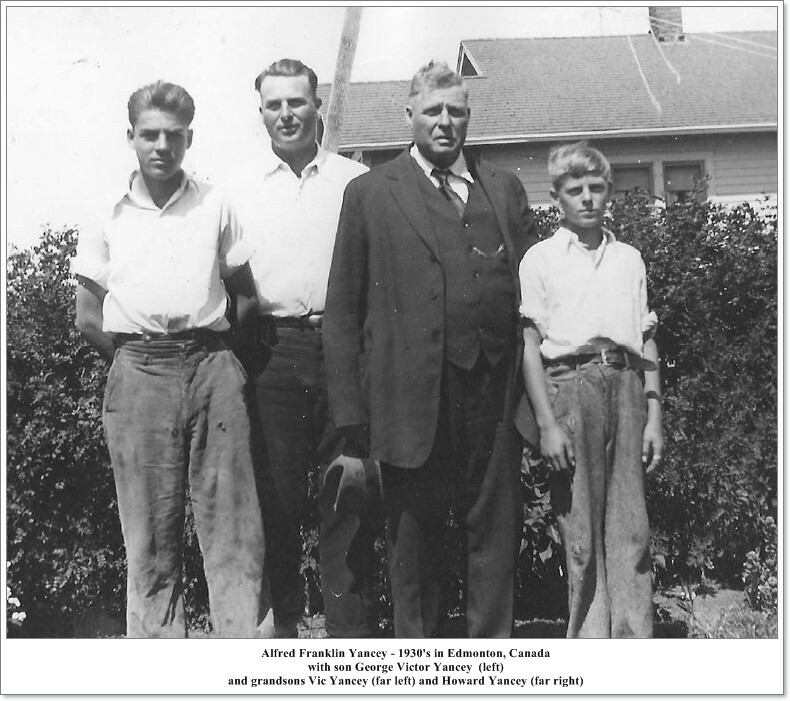 He switched to the Canadian National Railway in Edmonton in 1919 where he remained until his retirement in 1957. 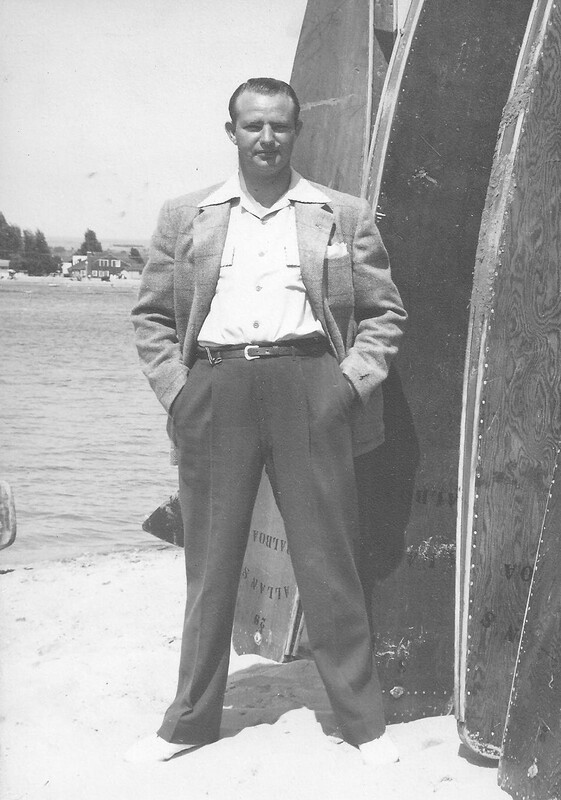 He was a switchman with the railway. 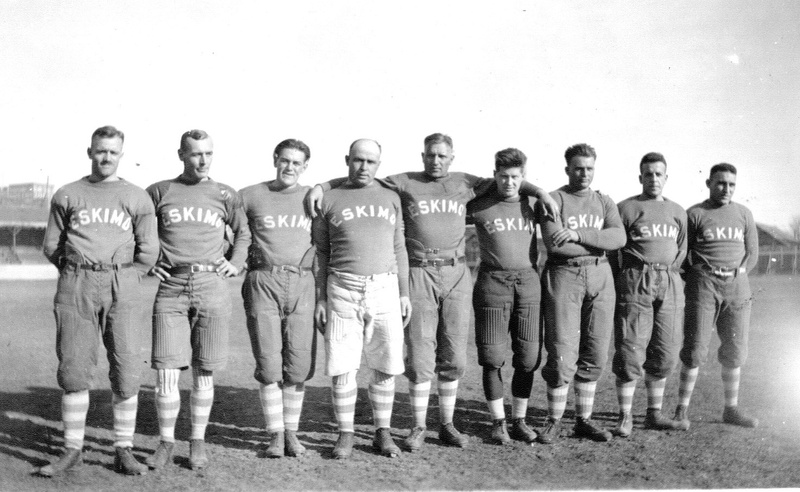 Victor Yancey (3rd from right) - as a member of the Edmonton Eskimos. 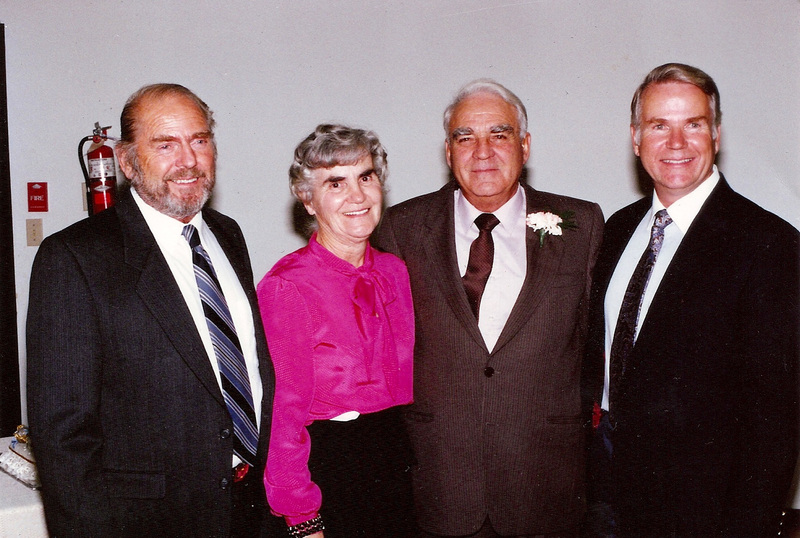 George Victor's four children: Howard, Lenora, "Vic" & "Bill" Yancey. 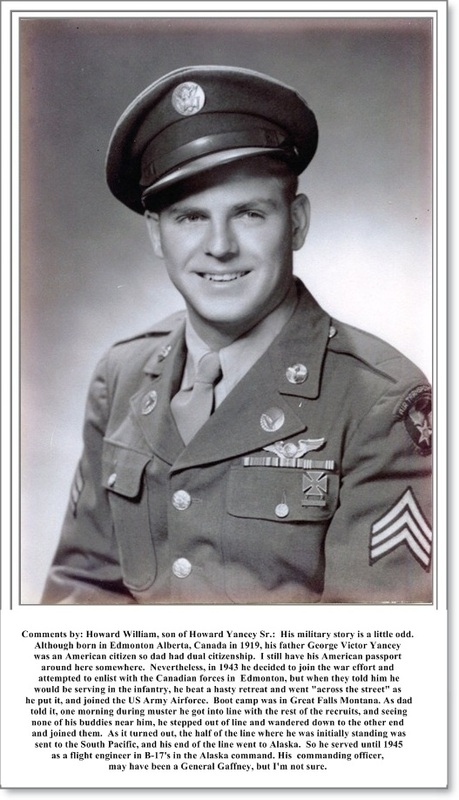 He was born in 1910 - the year that Halleys comet appeared- thus his middle name.